I feel very fortunate to work in a school that has classroom parties because I know that it is a tradition that has been vanishing in many parts of the state and in the country. Our awesome Wiley PTA assists us in planning and organising these parties, which are usually done three times each year: once in the fall, when we have a Halloween party; once in December, when we have our Winter holiday parties (recognising that we have students of many faith traditions, we don’t have just a Christmas party), and a Valentine’s Day party. Now, I love parties and I love holidays. But there is one party that I dread each year: the Valentine’s Day party. It usually ends up being lots of cupcakes, lots of sugar, and lots of drama. And so when my fourth grade partner this year, Mrs. B, suggested we abandon the Valentine’s Day party and have a March Madness celebration right before Spring Break instead, I was fully committed to making it happen. When February came around, even though we had told students and families that we were not going to have a party, there was still some disappointment that we weren’t having a party when everyone else was. (Never mind that my class got to watch a movie that afternoon, instead.) But by the end of the day yesterday, when we had our celebration, I don’t think anyone was wishing we had had a party in February instead! The March Madness celebration had four components that we turned into stations that the students rotated through: party food in Mrs. B’s room, where students had pizza, chicken wings, egg rolls, macaroni and cheese, chips, salsa, cookies, soda, ice cream, and more; filling out brackets in my room, where students learned about the NCAA tournament brackets and then filled out their own; NCAA tournament history in the Library, where students read a short passage about the tournament and watched highlights videos; and basketball outside with the P.E. teacher. I can honestly say that this was the most successful party I have had in my seven years at Wiley. The students had fun, the teachers had fun, the parents had fun, and every learned something while doing it! Huge shout-out to Mrs. B for the idea, the planning, and the implementation of something that I hope will become a new tradition for the intermediate students in my building! So many people were asking if we were going to do this again next year; my answer was the same every time: That’s the plan! Now, just because we weren’t doing a party, I still wanted to do something wonder-ful for my class today. You see, it just so happens that the movie adaptation of the book “Wonder” came out on video yesterday and I was able to secure a copy of it last night! So we spent the afternoon watching the movie. Now, I know that movies and books are different media for telling a story and therefore we should expect them to be identical, even if they are based on the same story. In fact, I am a very vocal advocate of recongnising this distinction! However, it is hard when you have read a book several times and you have some favourite parts that get changed in the movie, like Mr. Tushman’s speech at the very end. All of that being said, I really liked this movie. It tells a fantastic story, the acting is great, and my students were completely engaged in it for the entire time! It was definitely a wonder-ful way to spend our afternoon! Monday was Halloween. It is absolutely my favourite real holiday of the year, even if I do greatly enjoy celebrating Australia Day (because it is my birthday) and Talk Like a Pirate Day (because it is silly and fun). We had our regular school-wide Halloween costume parade in the afternoon and classroom parties immediately following, but my students also had a pretty awesome experience in the morning that I have never been able to do with a class before. We went with the two third grade classes and the other fourth grade class to the Krannert Center for the Performing Arts for a half-day workshop with the Lyric Theatre at Illinois to learn about their production of the opera Hansel and Gretel. Many of the students knew the basic story, but this experience was unique in that we weren’t watching the show or an abbreviated version of it. Instead, the students got to work with cast members to learn about some of the dances, songs, and costume design. It was also fun to spend time with students I don’t normally get to see. Although we had four classes going, the Krannert Center folks asked us to divide the classes into three groups. Instead of trying to mix and match all four classes, the teacher coordinating the field trip suggested that my class divide evenly among the other three classes. 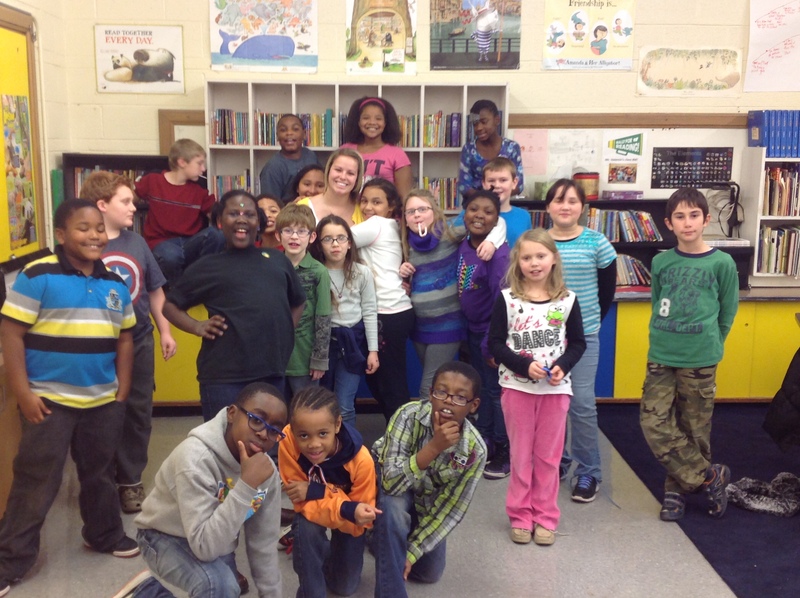 As a result, I was with the other fourth grade class and a third of my own students. Even though we were only together for a few hours, I noticed today that many of the other fourth graders seem much more comfortable talking to me and approaching me with concerns. Oh, and our Halloween party was pretty great, too: lots of goodies, lots of fun costumes, lots of chances to chat with my students in a more informal setting, and a few chances to talk with parents who weren’t able to make it to parent/teacher conferences last week. 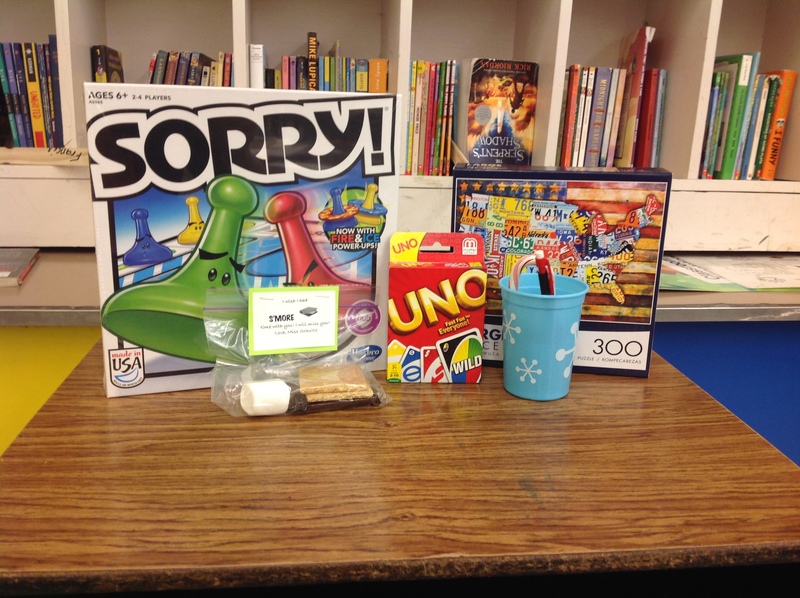 Classroom holiday parties really are a great way for the students to come together as a classroom community. Each of them contributes something to the party, whether it is snacks, treats, drinks, decorations, dishes, or just their very existence that adds to the overall excitement. In earlier grades, the parties are very structured events with lots of games and activities. By the time the students get to me in fourth grade, though, they just want to eat, drink, and talk amongst themselves. Throughout the day leading up to the parties, my challenge has always been how to keep students on task and working. Today I took advantage of one of my behaviour management tools, Class Dojo, and told the students that anyone whose point total was in the negative by the time we started the party would have to go to another room to do an alternative assignment. I awarded points to students about every 15 to 20 minutes throughout the morning and afternoon. If students were on task, they earned one point. If they were off task, they lost one point. Students also earned positive points for persistence, helping others, and showing respect. Ways to lose points also included talking, being disrespectful, or being disruptive. As a class, our Dojo score is usually around 75%. Today’s score was 89%! All 26 of my students got to participate in the party! I always appreciate the parents who come to support our classroom parties. They do all of the work; all I do is provide the students and the classroom! It is especially appreciated when they help remind students of the classroom expectations. (I have seen parents in the past sit in the room on their phones, ignoring their own children. I am glad that this has not happened in a long time!) I also appreciate the parents who take the time to include everyone in the room. With 26 fourth graders and half a dozen or so parents, it can be easy for someone to get overlooked, but my room parents are always so wonderfully considerate of others! So even though classroom parties can be stressful and even though they are not always my favourite part of my job, I am grateful for the chance it allows us to strengthen our sense of community. Thank you to everyone who helped out with our party today! How do you feel about classroom parties? Today marked the end of the first semester for students. (Teachers and other staff still have one more day of work tomorrow.) As per tradition, the classes at Wiley had holiday parties in the afternoon to celebrate the end of the semester and to send the students off on a high note for their two-week winter break. And, as is also traditional, many students brought in small gifts for their teacher. This got me thinking about a post I wrote last year. There had been a slew of blog posts shared by, I hope, well-meaning people offering advice on what to get teachers for gifts. However, these posts were often full of restrictions and suggestions on what not to get, setting up a scenario in which the reader could imagine teachers being disappointed or even angry that students gave them candy, handmade cards, or other such traditional gifts. And I so I responded, wanting to make sure that the students and parents in my classroom knew that I appreciate each gift I receive from my students, regardless of its value. I guess my students really do listen to me! Lots of chocolate, several books, root beer (one of my favourite beverages), and a Star Wars Stormtrooper mug. Thank you, everyone, for a wonderful semester! It has definitely been a roller coaster with its ups and downs and I know that I have not been as consistent in my blogging this year as I have been the past five years (and I know that I still have five posts to write about some big events we recently participated in), but there have been mores ups than downs and I have been pleased with the growth of my students and my own growth as a professional. I don’t know how much updating I will be doing over the winter break, but I am looking forward to getting some rest before we dive into the second half the year come January! For two months, my students have been immersed in writing. We used the Writers’ Workshop format designed by Lucy Calkins and focused on writing realistic fiction. Before we started, I had my students do a writing sample for me. Some wrote a paragraph, some wrote a single sentence, most wrote something in between. Then we started working on developing stories, identifying seed ideas, picking topics that we already know about from personal experience, sketching pictures, outlining story arcs, developing characters, “turning on the lights,” and writing so that the reader can “jump into the character’s skin.” Then student had time to just write. Every day, for 30-45 minutes. They wrote, I conferenced. They wrote, I conferenced. Repeat. Today we celebrated our writing. After two months of work, the students shared the stories with one another. I divided them into groups and let them read to each other. One read, the others listened. They took turns. They shared. They applauded. They celebrated. We celebrated. I am so impressed with the quality of writing that my students have produced! From a few scattered sentences to well-developed narratives, they have shown me what they are capable of! More importantly, they have realised what they themselves can do! So many started to unit telling me that they hated writing, that they didn’t want anything to do with it, that it was boring, and that they had nothing to write about. Now they know better. Everyone has ideas. Everyone can write those ideas and create something that nobody else has ever made before. That’s some pretty powerful stuff there! A huge shout-out to our expert from the University of Illinois Center for Education in Small Urban Communities, Mrs. DeHart! She helped us get started, offered support throughout, and came back today for our celebration! This celebration was such a wonderful way to end our quarter and the first semester! I already have so many ideas for where to take this next, with writing and researching and sharing and publishing and oh so many other things! There is no comfort in the word “farewell,” even if you say it in French. “Farewell” is a word that, in any language, is full of sorrow. It is a word that promises absolutely nothing. I mean no disrespect to Ms. DiCamillo, who has written a treasury of fabulous children’s stories, but “farewell” is not a word full of sorrow, nor is it a word that promises nothing. Quite the opposite, in fact. The first, faran, is from Old English and means “to journey, set forth, go, travel, wander, make one’s way,” The second, wel, also from Old English, means “abundantly, very, very much.” So when we say “farewell” to someone, we are telling them that we wish for them to set forth on a journey in an abundant, or very good, way. That’s pretty awesome, if you ask me. Other words and phrases we use when parting express similar wishes. We also say things like, “talk to you later,” or “see you later.” I learned German while I was in high school and loved coming to realise that some of their common parting words, auf Wiedersehen and auf Wiederhoeren, both have that same meaning: until I see you (or hear you) again. So today my class bid farewell. Not to one another, not to me, not a friend, but to our amazing student teacher, Ms. Schultz. She has been a part of our classroom community since the start of school, coming in every Tuesday and Wednesday to learn with us, to work with us, to teach and to be taught. But all good things come to an end. Today was her last day here in Room 31 at Wiley Elementary School. And so we celebrated in the only way that seemed fitting: we worked. Math, social studies, writers’ workshop, literacy, read aloud, learning buddies, we did it all. Then we came to the room and said our goodbyes (a word that has its roots in the phrase God be with ye, once again expressing hope and wishes for the one who is leaving). Ms. Schultz brought some small tokens of appreciation for the students and I gave her a small gift of a special staple remover/letter opener that will remind her of how indispensable she has been to us this year. And then there was nothing left to do but to say thank you, take a group picture, and say farewell. We wish Ms. Schultz all the best as she goes to her next placement in the Spring. She has promised to keep in touch and we will keep in touch, too.